If you have a fireplace in your home, then it is essential to have its chimney and firebox cleaned. Texas has mild winters, so you might only use a fireplace a few times a year to stay warm, but there are a few symptoms you need to understand that indicate that a chimney requires professional cleaning. 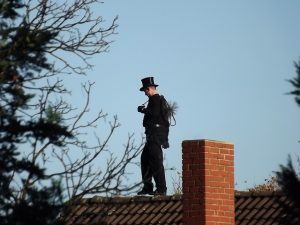 Instead of trying to remove soot, creosote and debris from a chimney on your own, you should contact a knowledgeable chimney sweep who has the proper brushes and inspection equipment to perform the task correctly. There are several signs you can watch for that will indicate you need a fireplace repair or a chimney cleaning process. When you have problems starting a fire in a fireplace or keeping a fire burning for several hours, this is often because there is a problem in the chimney shaft that is preventing the proper flow of air. You must have good airflow to maintain a fire. Too much air can extinguish a fire while not enough will keep it from burning correctly. If you are having a problem keeping your fire burning, contact a chimney-cleaning expert to inspect your home’s fireplace and chimney. As a fire is burning in a fireplace, your home should have a pleasant odor from the wood rather than a foul odor that is unpleasant. If you notice a strong odor, then there is a problem with the chimney’s shaft because the updraft system isn’t working correctly. The strong odors from a poor updraft can alert you that other odorless gases are inside your home. These gases can be harmful, including carbon monoxide that can lead to respiratory distress and death. One thing you should check for every so often is grease or creosote in your chimney. 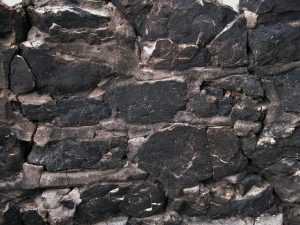 If you reach inside your fireplace to touch the walls, then checking for a greasy black soot or creosote substance. This substance develops over several months in the internal structures of your home’s chimney, but the grease is dangerous. In some cases, creosote can begin to burn, leading to an internal chimney fire that can burn through the walls into a room. Creosote also contains chemicals that are not safe to breathe, and you should have the grease removed immediately. When a fire creates a buildup of smoke inside your home, there is a blockage in the chimney shaft. Numerous things can create a blockage inside a chimney, including leaves and branches from trees. If there is a buildup of grease on the interior surfaces of a fireplace’s chimney, then the debris from burning wood can collect on the substance, creating a blockage. It is important to make sure that a fireplace’s damper is in top-notch condition because it regulates the flow of air into a fireplace and chimney. If you notice that a fireplace’s damper is difficult to open or close, then it is important to have the item repaired as quickly as possible to prevent further problems. If you have noticed a fluttering or scurrying noise inside the walls near a home’s chimney, then you need to have a fireplace and chimney inspected. Animals such as raccoons and squirrels can enter a chimney on a home’s rooftop to live inside the structure. 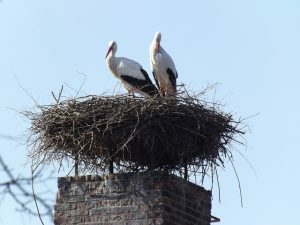 In addition, birds can build bird’s nests inside a chimney, creating a blockage that is composed of grass and straw that can burn down a home. If you need to hire a certified chimney sweep in Texas, then call 1st Choice Chimney Services LLC. Its chimney-cleaning experts can provide fireplace repair in Dallas, Fort Worth or Austin. Contact 1st Choice Chimney Services at 817-405-9911 today.